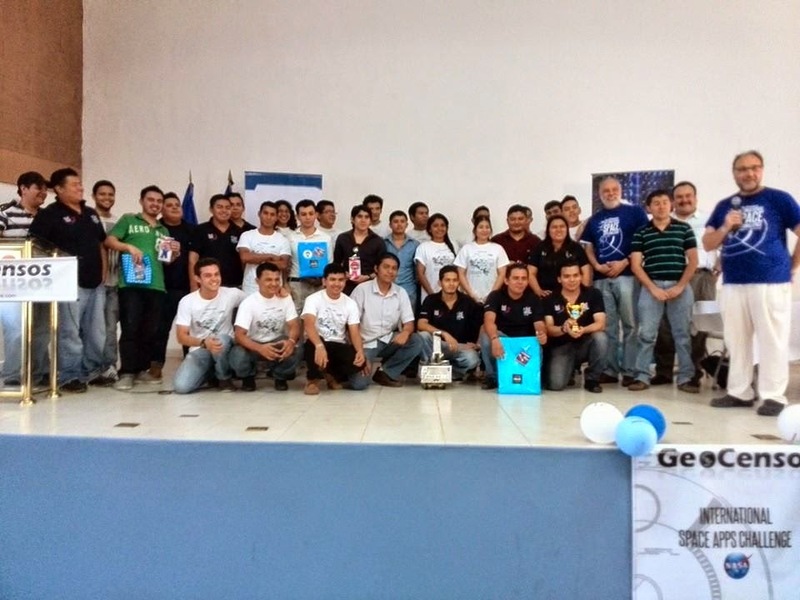 For the second successive year, Geocensos Foundation is inviting communities of developer´s, academic and innovation organizations from all Latin American countries to join their event GeoCensos Mesoamerican Apps Hackathon, also called “Mapps”. For those who haven’t heard about it, this is a nonstop geographic development´s marathon specially thought for entrepreneurs willing to work on their own successfully, also learning to develop geographic information and communication tools. The main objective of this geo hackathon is to develop apps with geographic information from all Meso and Sud America , at the same time supporting young talents of the region in the start of their careers. This is especially attractive due to the present booming of the geoespatial sector. This innovative technological event will be run next September in diverse Latin American cities. Those organizations interested in hosting a local event are offered to attend a free MundoGeo Webinar next July 29 where they will get further information and also invited to register as official locations. This is not the first time that this event takes part in the region. In 2013, Mapps Hackathon mapped in 12 Mesoamerican cities more than 20 solutions to environmental, climatic and socio territorial problems, partnering next to 637 registered geo geeks. This time, geocensos guys are going the extra mile: in addition to geoinformation tools, they are looking to teach to programmers to use management and financing techniques for their developments. This innovation will allow participants to be eligible for the marketplace, successfully designing, developing and also placing their initiatives, besides helping their own communities to solve territorial problems. Find in this link more information about the event in 2014, including the registry for local events (Spanish). On one side, the geoespatial industry has been growing along an exponential path these years. This sector has been favoured, among other reasons, by the new generations of gps technologies, cheaper satellite imaginery and fresh developers. According to one recent survey from June 2013 taken by the latin portal Universia, 82% of graduated young people from Latin American universities are resolved to become independent with their own start up. From that total, almost one third studies or has studied engineering or knows about programming techniques. According to Boston Consulting Group, 52% of leading companies use geoinformation services in the Internet. Based on an Oxera report prepared for Google, the industry invoices between 150 and 270 billion dollars a year and - thanks to the information that it generates - helps to save about 3500 million litres of gasoline in unnecessary transfers. On the other side, Geohackatons are becoming a great success because they are giving wings to techie entrepreneurs who are looking for new opportunities and markets throughout the world. We have seen how great corporations discard the local young talent because they do not get to understand the potential of native communities to develop new technologies and creative solutions. This is an ideal moment to develop independent geospatial solutions with communities of innovating Latin entrepreneurs who love to learn from new trends. Interested communities, organizations and universities are encouraged to ask for more details about this innovating event in the webinar organized by Geo Mundo next Tuesday 29 of July by registering themselves in the gotomeeting link above. They can also offer their candidacies to host locations for the Mapps Hackathon through https://docs.google.com/forms/d/10drnVQ4RPJIUmbBtkVOwHT2i-Phfg_axFtH0Q-W8wBw/viewform registry in order to be considered for the organization of the event.